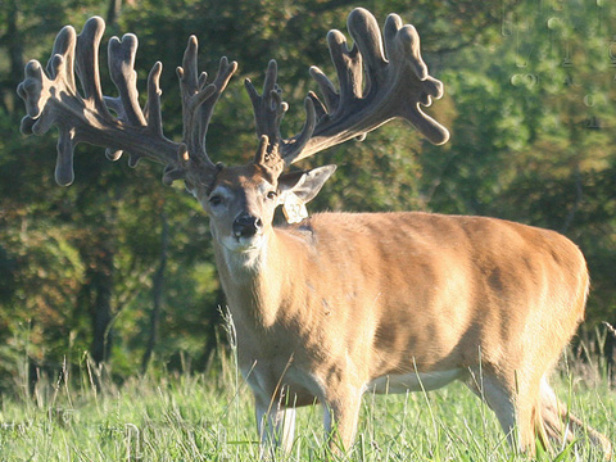 Sun Dragon is an awesome whitetail breeder buck. 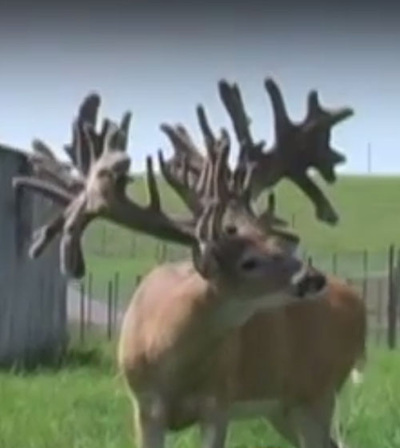 In this photo he is 4 years old. 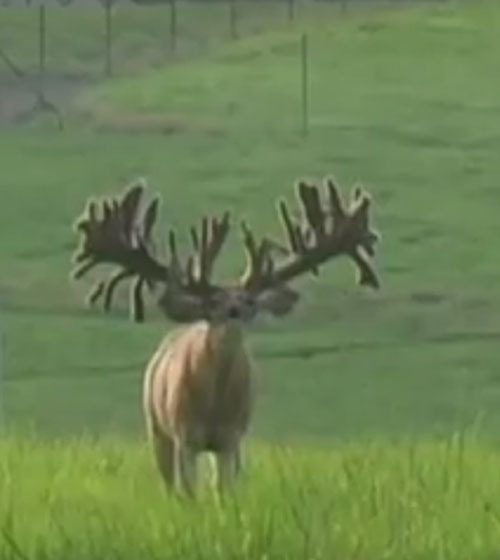 He has the width, mass, brow tines and drop tines we love. Sun Dragon's sire is the incredible Sundowner. Sundowner is also the sire to Double Down. Both Sundowner and Sun Dragon have excellent width, lots of points and multiple drop tines. 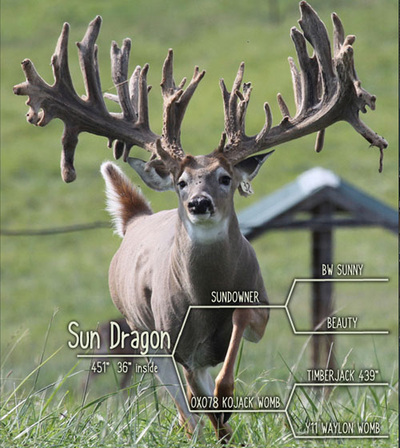 If you are interested in offspring or bred does to Sun Dragon, please contact us or give us a call.